The chipKIT development platform with prototyping-friendly 32-bit MCU packages (based on PIC32 microcontrollers) from Microchip is an open-source hardware and software solution intended for beginners and users with little or no knowledge of embedded controllers wanting to explore embedded applications. 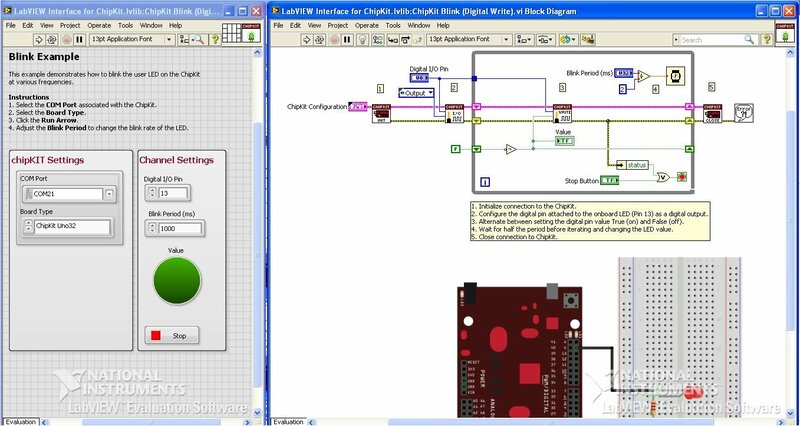 Install the required hardware and software to interface NI’s LabVIEW to Digilent’s chipKIT UNO32 board, and test an application that blinks a LED. NOTE: If you do not own a copy of LabVIEW, you can download a non-commercial student license and request usage for 6 months. A free, 45 day evaluation of LabVIEW is available at ni.com/trylabview. You are required to obtain a NI user profile to extend the 7-day evaluation to 45-days! Connect the USB cable to one of the PC’s USB ports and then to the mini-A USB connector of UNO32. UNO32 can be powered via USB connection, or with an external power supply. The power source is selected automatically by sensing circuitry on the board. So for this set up we will not need external power supply as UNO32 will be powered from USB port of your PC. The codes for UNO32 are called sketches. The word “sketch” is inherited from Processing an open source programming language. The Processing project was initiated in 2001 by Casey Reas and Benjamin Fry, both formerly of the Aesthetics and Computation Group at the MIT Media Lab. One of the stated aims of Processing is to act as a tool to get non-programmers started with programming, through the instant gratification of visual feedback. The language builds on the Java language, but uses a simplified syntax and graphics programming model. As you will note the syntax is quite simple in MPIDE environment. If you are familiar Arduino Processing environment you will note they are the same. And after few seconds you will see the green LED on your UNO32 blinking every one second. You have successfully programmed UNO32! At this stage it is quite convenient, for learning purposes, to register yourself in ChipKIT forums, and to check around. This is your development environment where you will write your computer program to control the chipKIT device UNO32. 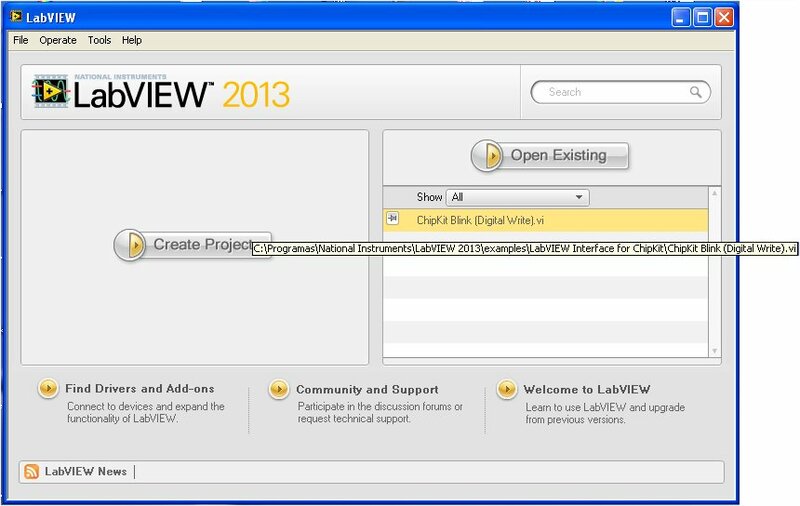 Download and install LabVIEW 2013 if you do not have it already. 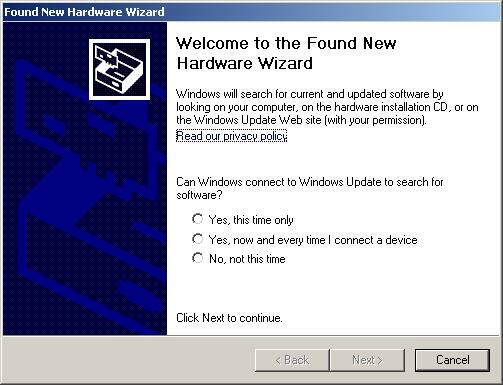 Next install NI-VISA device driver. This is a library of functions that enable LabVIEW to send and receive commands for various communication protocols such as RS-232 and IEEE488.2. VISA drivers are free for use and can be downloaded from ni.com/drivers. If you have doubts, please check the NI website and follow instructions. Installing Labview and drivers is quite an easy process! JKI is a NI Alliance Partner (jist like my company Aliatron is) and is an integrator of NI solutions. 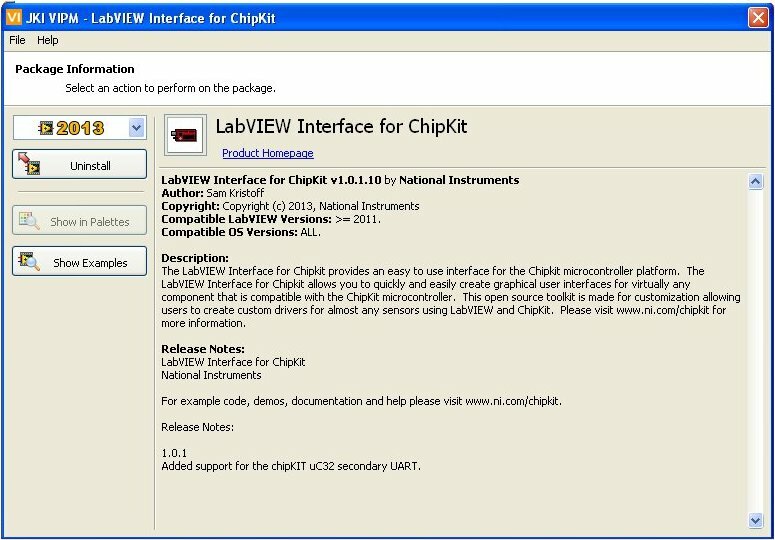 The Package Manager will allow you to install the LabVIEW interface for chipKIT add-on with all functions, examples and help files. 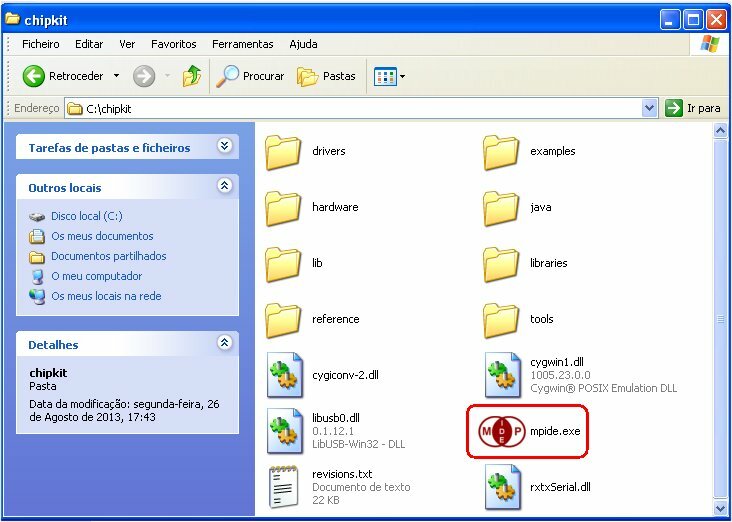 Download JKI’s VI Package Manager and install it by clicking on the JKI’s icon in your PC’s folder where you have downloaded it. Click Show Examples button. And choose “chipKIT Blink (digital Write).vi” clicking on the icon. Check if your UNO32 is connected to PC with USB cable. As the pop up indicates our UNO32 has not the latest firmware. In fact it has no firmware to communicate with LabVIEW. 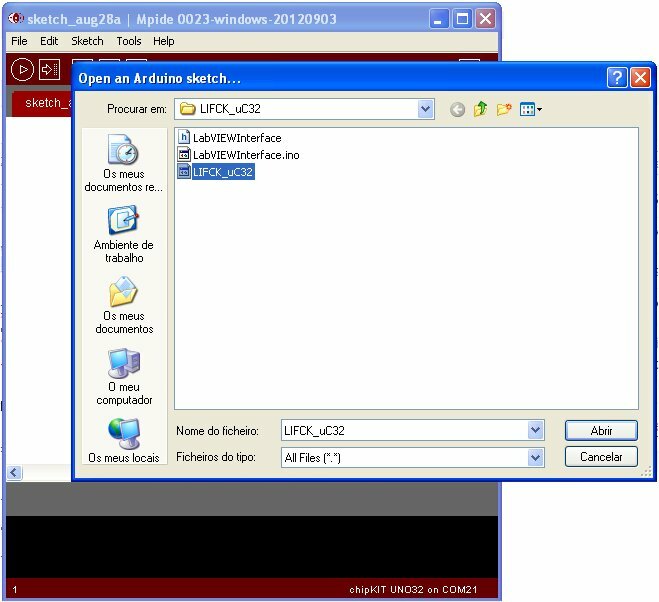 The firmware is found in LabVIEW folder in vi.lib\LabVIEW Interface for Chipkit\Firmware\Chipkit. Launch MPIDE environment as before. Note: You may need to teak again in Tools the Board and Serial Port number. The green LED on the board will now be permanently ON. NOTE: The firmware for uC32 (another chipKIT board from Digilent) is same as for UNO32 board. The port number will be the one found in your PC as shown earlier. Now Run the VI clicking the run botton . After few seconds you will see the green LED on UNO32 blinking once every second. In Tools choose Block Diagram. This will show the graphic components of LabVIEW. 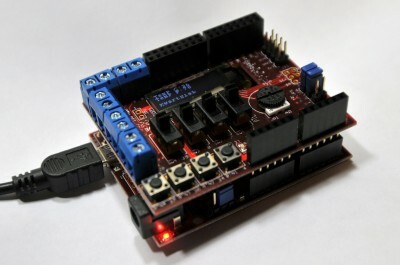 We have shown how to interface LabVIEW to chipKIT Digilent UNO32 development board. This solution of interfacing LabVIEW offers enormous potentiaties for projects. Though we did very little extra work (we based on already existing work), the idea behind this tutorial is to show how easy it is for LabVIEW to communicate with chipKIT devices. 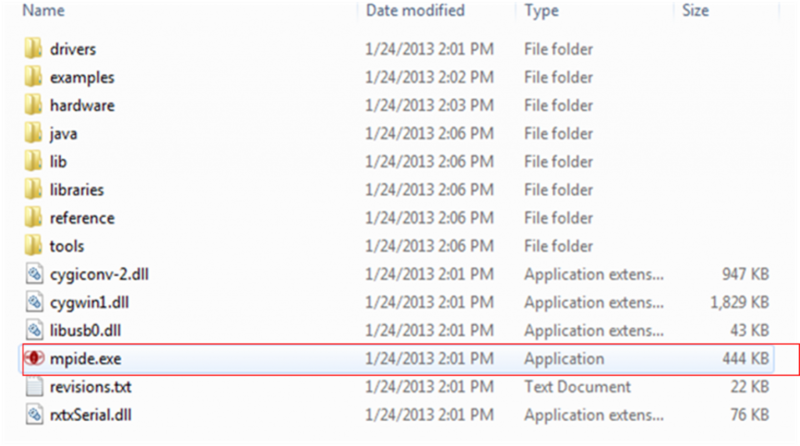 Check here in this blog other tutorials for LabVIEW that may interest you. This entry was posted in Electronic Projects, Programming and tagged Digilent, Graphical User Interface, GUI, LabVIEW Interface, Microchip, National Instruments, PIC32MX, UNO32. Bookmark the permalink. Q: Can I deploy code to the chipKIT device from LabVIEW and disconnect the USB so that it can run autonomously? 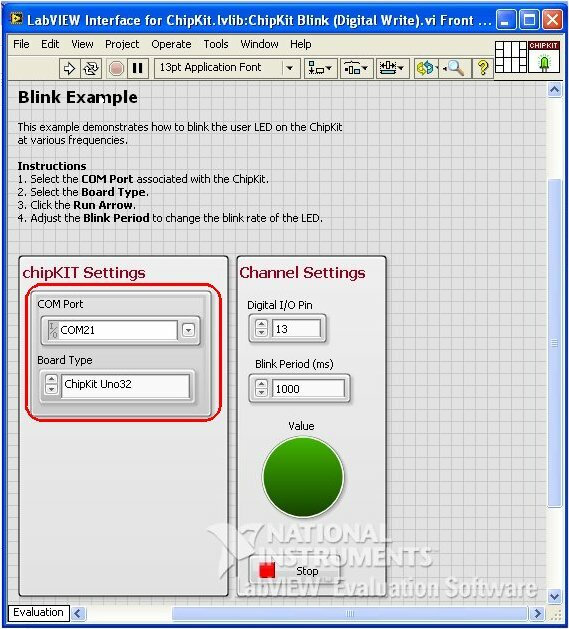 A: The LabVIEW Interface for ChipKit allows users to interface with the ChipKit and requires a constant connection (via USB) between the ChipKit and LabVIEW running on the host computer. The goal of the LabVIEW Interface for ChipKit is to enable users to interact with the ChipKit while taking advantage of the processing power of the PC and signal processing and user interface power of LabVIEW. It is currently not possible to run LabVIEW code on the ChipKit autonomously. Welcome to my blog. 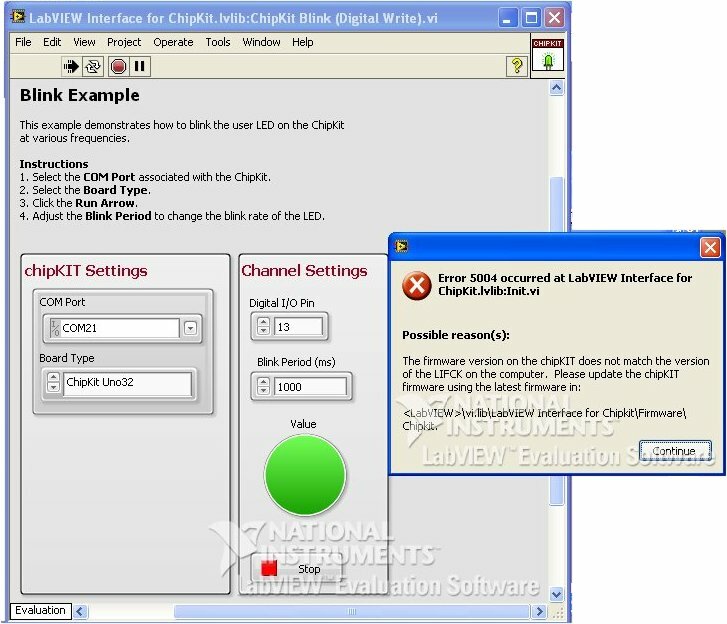 Thank you for your intervention in case someone does not understand the purpose of connecting Labview and chipKIT. I have also shown here remote connecting without USB cable with recourse to bluetooth module. hello, i’m trying to do a blink led, but﻿ with the led 5 (pin 43), but it doesn’t work, could you help, me? Welcome Leonardo to my blog. Does the example work for other pins with your set up? Yes, it’s works fine, but for this pin(43) doesn’t work. Hello Tayeb. I am student of electronics engineering in Colombia. I am making a student project. It’s a data acquisition system. 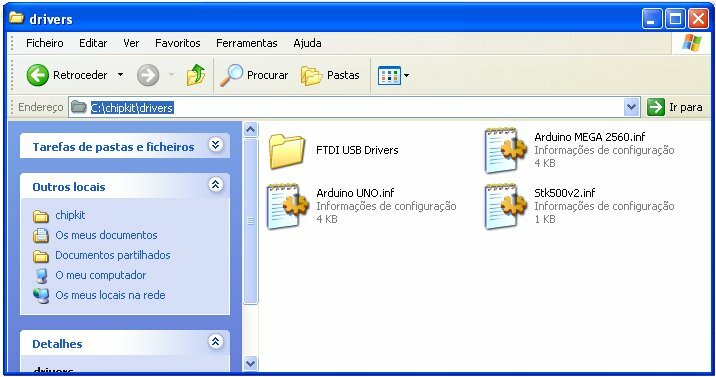 My partners and I had thought a solution based on Arduino Mega+Labview but we have a big problem. One of the requirements for the project is the sample rate. We need at least 10kHz and this was not possible with Arduino Mega+Labview. Reading some forums I found Chipkit Max32 and now I read your blog and I see the development for ChipKit Max32+LabView is similar to Arduino+LabView. My question is: Can I get a sample rate of al least 10kHz with ChipKit Max32+LabView? Arduino Mega card has this sample rate but using with LabView this reduces. Welcome to my blog. Sorry it took me so long to reply. I have abroad without Internet access. I am not sure about Labview reading so fast. Surely with NI cards you can achieve fast rates of acquisition. And welcome to my blog. Will follow your link.